Enter to win our newest custom bundle: Summer Soaring! As many of you know, it's hard for us to make a bundle without including some Birch Organic Fabrics. In the case of this Summer Soaring Custom Bundle, we included A LOT including some favorites from Charley Harper's Maritime collection. This giveaway ends on Sunday 7/4/16 @ 12 am PST. The winner will be contacted shortly after by email. The winner will be chosen randomly by Gleam. Good luck and have a wonderful 4th of July! I love those birds! They would make such a cute summer dress. I would make a winter blanket for my granddaughter out of two yards of fleece and my favorite color is natical blue. The seagulls are awesome! You have such a wonderful selection! The Charley Harper is a great addition to the patriotic color scheme! I would make a dress or romper for my little.girl! Love the strips and birds! It's too hot out to think about fleece! :) I would probably use it this winter for a throw or blanket. Love the bundle! I would make myself a pair of lavender lounge pants and have them ready for winter! Wonderful fabric. I love fleece to back quilts, so soft. I would make my friend Shelley a top using the red and white shell fabric. I've never tried fleece before. I'd try a simple blanket. Blue is my favorite! I would use it for a quilt back. The organic fleece would make a lovely quilt back. 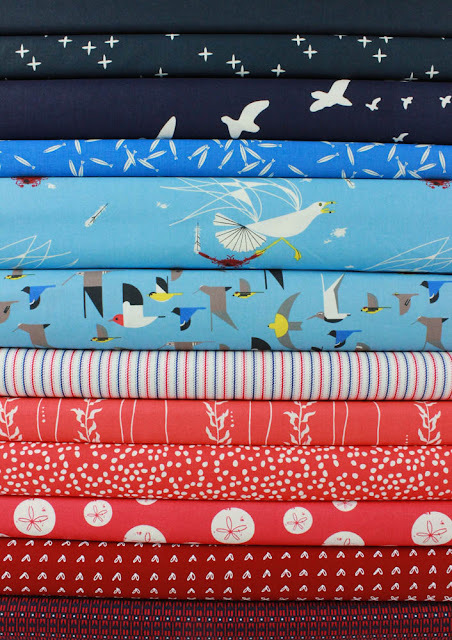 And that gorgeous bird-themed red and blue bundle would make a perfect quilt top! Match made in heaven! I just loooooooooove this custom bundle so much. 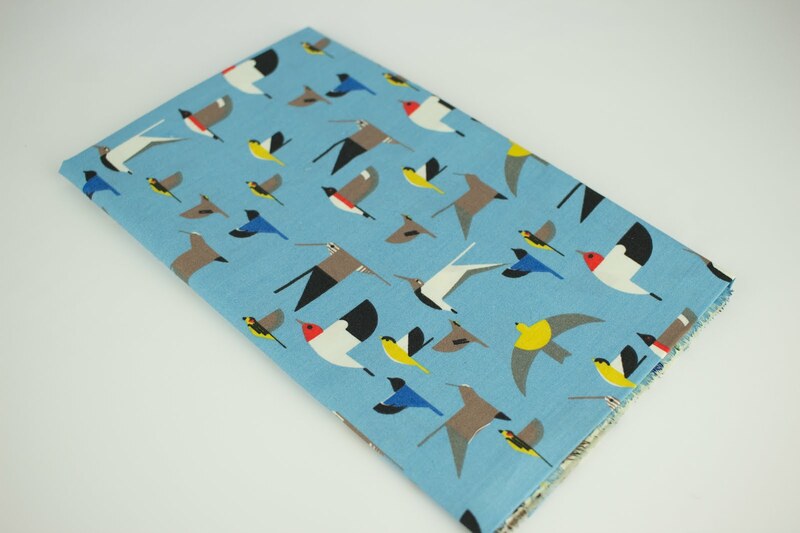 That Charley Harper birds fabric is perfection! I'd probably sew up some project bags for my knitting or use them as gift bags. A lovely bundle! Sweet prints! I'd add 2 more yards & make myself a cardigan. I would love to make a baby quilt for one of my kiddos... she thinks she is going to be just like her mommy and use their own sewing machine... The organic fleece is so soft, perfect for anybody's skin. I would like to make pajamas. I like blue. Thanks for the giveaway! I would make blue or red pj pants. I'd love to make a quilt for a child. The dark blue with the seagulls is amazing! Would make a great pillow! A small quilt for winter or a pair of pajama pants! I would make footie pjs for one or two of my children. I love teal, turquoise, and the woodland prints. I want to make #allthehoodies for fall and winter! I'm ridiculously excited to try the Birch cotton fleece! I would make dresses for my grand daughters for school and then buy leggings to match. I'd make slippers for my grandchildren out of the mint fleece. I don't know what I would do with this, but I've given away so many quilts, maybe I'll make something for myself. Ooo - I would make new pj's as all of my flannel ones are threadbare. Woo, wonderful fabrics !. I love. I want to sew a dress for my niece with one of them. I am totally in love with that red sand dollar fabric. Love, love, love! Thanks for the chance. Cute dresses for my 5 granddaughters - yep I will just have to buy extra fabric - darn! 2 yards of organic cotton fleece sound perfect to make something for my son's soon to be adopted son....I guess that would be my soon to be grandson. Wohoo! Such beautiful fabric would feed my addiction!! What an awesome bundle! They go along beautifully and i think each fabric is beautiful on its own! Thank you for the giveaway! Magenta. I need new hoody. 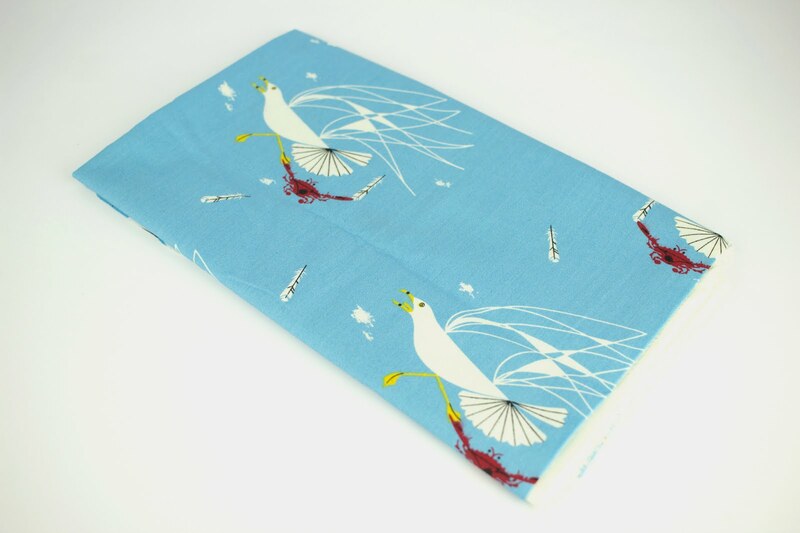 The blue seagulls to make a toddler dress. Love the bundle--especially the flying sea gulls! Fleece would be perfect for some winter PJ-oh yeah! What an awesome giveaway! Those fabrics are absolutely beautiful! Probably some sleeping pants for my nephew. Fleece for granddaughters' nightgowns! And our favorite color is pink!! With 2 yards of the fleece I would probably make pullovers with matching caps for my grandsons! Any extra would go towards mittens, even an odd number of them as little boys are always losing one or both! Favorite color of fleece is mint green or lavender and I would make Jammie's for the kids. I love blue fleece for my boys as blankets or pillows. I just made a college pillow with university fabric for my son. The colors were yellow and blue and he loves it. So with 2 yards of fleece, I might make a lap blanket. New Cotton + Steel Now Available!